My, it’s been awhile since I’ve had any time to even jot something down on this here blog. And it’s been well over a month since I initially downloaded RO2 and started getting accustomed to the feel of the game. If you’ve read my previous reviews, you know that I tend to focus on the single player aspect of the game. Online multiplayer, while essential for pretty much every modern game these days, tends to decouple any type of genuine feel of a game. Largely because multiplayer games are deathmatch or objective focused, a review on these elements would break down to analysis of map layout/balance issues/class breakdown and also consume a huge amount of time when by rights, any real issues would get patched out. So I’m glad to say that Tripwire Interactive has both aggressively updated RO2 through patches in it’s first month alone and has a compelling campaign with which I can appraise. 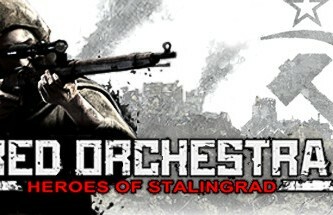 Right, so Red Orchestra 2 focuses on the Battle of Stalingrad and the surrounding operations, both German and Russian, from July 1942 to February 1943. At least setting and story wise, this is a departure from the norm in regards to WWII first person shooters. But the single most impressive notion I kept walking away with when playing RO2 was the feeling of desperation. It is the culmination of every nuance within the game that breeds this sense of panic and courage. All the more surprising is that when you examine each piece by itself, they really don’t stand up. I don’t mean to convey this as a backhanded compliment, it’s just my feelings on the matter. At this point I may as well voice my opinions on the cons of the game. 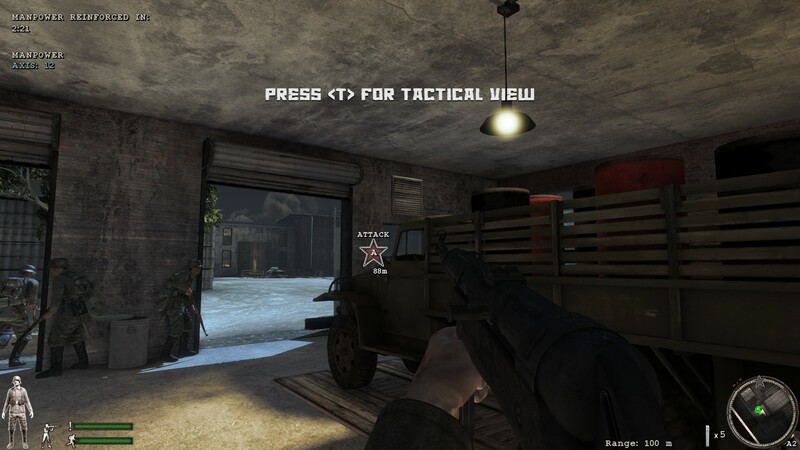 RO2 uses the Unreal 3 engine and, largely, the game looks modern. I don’t think anyone would be particularly blown away by the game’s visuals, but they aren’t bad by any stretch of the imagination. (btw, I played the game on Ultra setting at 1080p and frame rate was rock solid) The only concerning point I have to address is the use of light pillars within the game and the minimap radar’s tendency to inconsistently flip the eff out. ( I apologize in advance for slamming two pictures back to back, but they kind of lead right into each other.) The next shot I’m about to show you clashes pretty hard with the overall design choice of the game. What the hell is up with this HUGE command tree? Not only is this slow to navigate, it shits all over the purposefully minimal HUD (I’ll touch on this after bashing parts the game:) Literally, it would be far less obtrusive to shrink this down and also center the menu wherever the mouse cursor is when called upon. It almost feels like two different sets of people were touching aspects of the game by how jarring this difference is. Lastly, I’d like to touch on the dialogue and AI. I understand that it must be a huge challenge to properly write lines that can fit in context to an interactive medium but, please, to all game developers: If a sound file is used for dialogue, please, don’t constantly repeat it. It takes away from the game and especially in a game like RO2 that, I feel, captures war better than most war games. Regarding AI, which is mostly a problem for all games, just doesn’t cut the mustard for a tactical experience. The strategic portion of the game is easily going to be leagues better in a multiplayer environment where you have human opponents. Now, on to the good stuff! 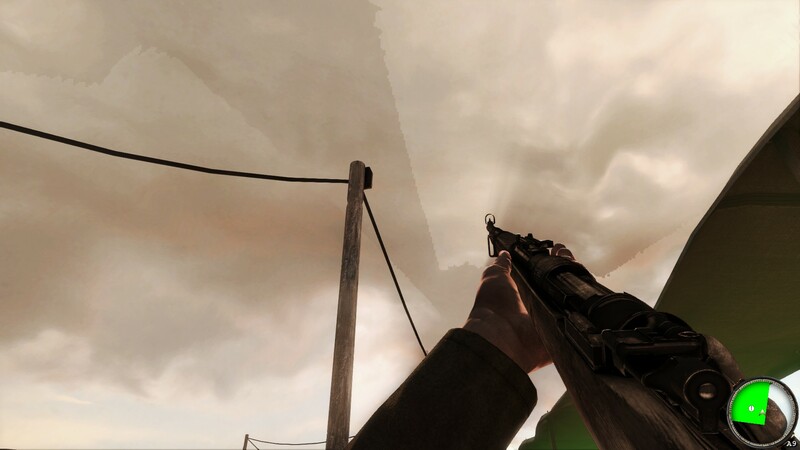 The attention to detail, not in just a graphics sense, but also in terms of the information that is presented to the player and how the player is limited to interact with the environment, really lays this thick realistic sheen on top of RO2. 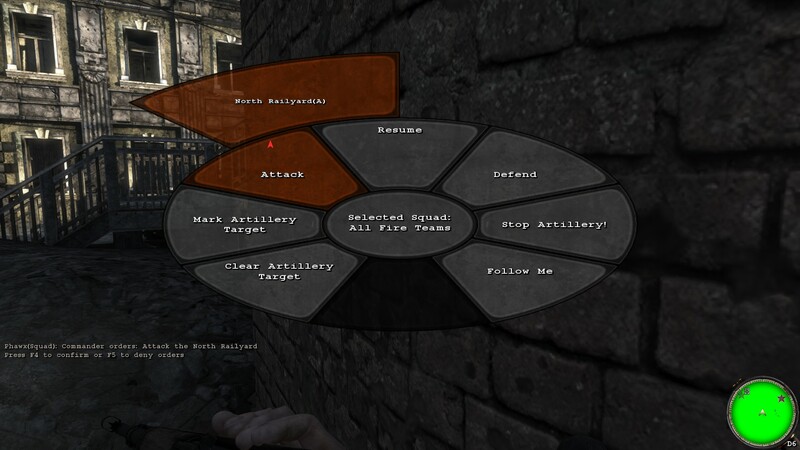 Ballistics is actually considered in RO2. It’s not just the random spray of a weapon, whose projectiles have this infinite travel. Your bullets will dip if the target is far off enough. If the barrel of your heavy machine gun overheats, you got to replace it. There isn’t an ammo counter on your HUD, if you want to investigate the matter you’re going to have to eject the clip and get a guesstimate. You’ll see text pop up like, “You have half of your ammunition left” (not exact wording, but you get the point.) The design choice of hiding the HUD from you isn’t to minimize information but to real-ify the gameplay. The audio is actually spectacular, if it weren’t for the constant haranguing from your AI counterparts to ruin. But I have to give credit where credit is due. Tripwire may as well have plucked the music score from some fantastic war movie and just dropped it into the game for all I know. Combined with the voice actors excellent delivery of desperate battle cries and this picture is slowly starting to come together. Then there is the interesting use of a gameplay element which is sort of the reverse of Halo’s popular health regeneration system. Essentially, because you are trying to command your troops to slowly advance and gain control over territory as a means of progression, as your troops are dying they need to be replenished. In the event that you die, you are queued up to take over one of your AI companions to continue the effort. When all of your troops are gone, you failed the mission. However, stay alive long enough and you’re troops will be replenished. More troops == more health. This is actually a critical component that wraps everything above into a wonderful narrative for the game. Your overall goal in every mission is to advance and secure. Your troops, naturally, will diminish as your progress. And because you need to wait for new troops to resupply your “health” there are pockets of moments where you are concerned of dying. And how Tripwire, further puts pressure on you is that artillery is constantly hailing down on your position which forces you to always prepare for the worst and hunker down. This is genius and I really have to commend Tripwire for pulling this part off so well. Condensing this idea down, you need to stay alive, but you need to advance and you are both blind to your ammunition and potentially ill armed to dispatch many from a great distance. The charge from an ally as he screams in for the kill while the music subtlety notes the fraught danger ahead. War is hell, but you need to survive and you’ll need courage and cunning to get out of this mess your trapped in. These are genuine moments I had in Red Orchestra 2. Other than that, the only thing I feel compelled to comment on is the interesting presentation of cutscenes to explain the story’s narrative for the game. 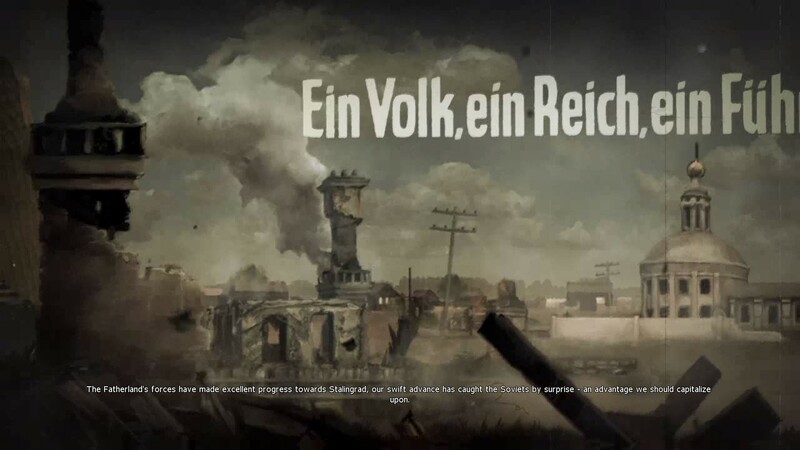 Cutscenes are arranged in, if you can imagine, a diorama of a battlefield sprinkled with short text and symbols that define the battlefield as if towers and then viewed as a panning parallax animation, usually from left to right with a layer of film grain and footage rolling sound. I tried my best to clearly represent what I saw in a concise way, but it’s perhaps best if I show you in a screenshot. Bittersweet news is always positive overall I feel. 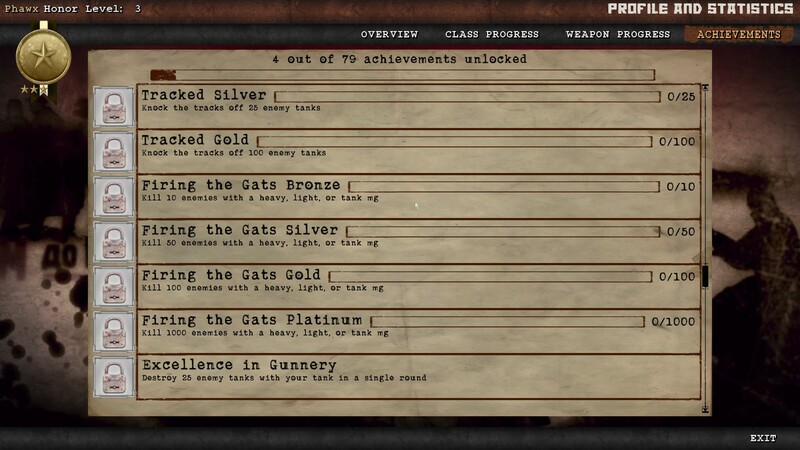 Originally when I played RO2, before it was patched, I had unlocked the achievement for beating the campaign on Hero difficulty even though I had only beaten one level. I make it a habit to play games at the hardest difficulty level, a habit I need to change in light of my recent time shortage, so I thought it was neat that I got the achievement, but ultimately meaningless and for that matter anyone else that got this achievement. Thankfully, because it’s taken me so long to write this review, I have the ability to inform you that Tripwire made the right call and reset all stats and achievements that would show an inaccurate standing in this regard and again Tripwire should be given kudos for making the right decision. TL;DR part: Red Orchestra 2 does what many war games have trouble accomplishing, conveying what war feels like. However, AI, overuse of in game dialogue and other niggles really detract from catapulting RO2 to the top of the FPS war game heap. The multiplayer side, in some instances, does alleviate the problems found in the single player campaign. But you also sacrifice the single player centric pacing that is carefully narrated. Distilled, RO2 will make you wish you could have your cake and eat it too. 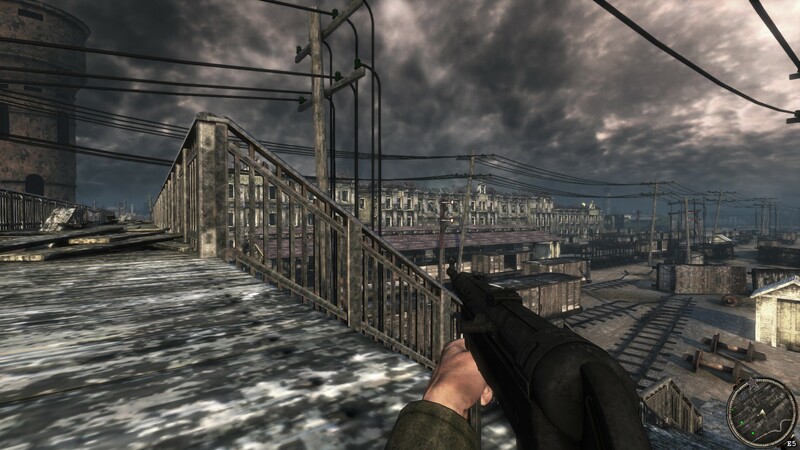 83/100 : Red Orchestra 2: Heroes of Stalingrad almost delivers the best FPS WWII game yet.